I saw you cringe, I saw you glare, I saw your chest heave with a sigh. Each time, it coincided with little noises of little people. If I knew how to properly, appropriately address you with the grace and respect I feel you deserve, I would love to share my perspective with you. Maybe if I write down my thoughts, I can find a way to do that which would increase our peace and fellowship in our congregation, rather than sour it or divide it in any way. I want you to know that I believe worshiping God corporately on the Lord’s Day is a truly important act of obedience and faith for every Christian. I want you to know that I take it seriously. The joy and the reverence. The duty and the delight. And in light of the belief that this is one of the most important things I will teach my children and my children’s children, I want you to know what a weighty burden I feel as I bring my children into the presence of the Lord corporately each week. It isn’t easy. I don’t simply have to get myself up, dressed, fed, & out the door. I also have four little people to get up, dress, feed, and buckle into their carseats for our fifty-minute drive to the church. It is a real act of dedication and faith in action just to have this as a top priority for our family’s life. It is rare for me to show up at church feeling well rested and fully charged. I seek to show up with my family joyful, bodies beautifully clad for the special event of worshiping the King, bellies filled, bladders emptied. But I confess, there are some days where simply showing up feels like a morning of hard work. I only have four children, but I also only have two hands. There are some days where my husband and I are able to each take responsibility for two kids in the pew. In fact, there are some days where my parents are sitting with us, and it essentially works out to a one-to-one adult-to-child ratio. But let me tell you, that does not make my job easy-peasy as the mother who takes responsibility to train my children. Then there are other days, like yesterday, where my parents were away and my husband & our 8 year old son were serving as acolytes in the service… which left me on my own in the pew with my younger three children (ages 5, 4, and 16 months). By the time we had gotten through an hour of Sunday School, ninety minutes of worship, and then an hour long church potluck… not to mention the almost-hour-long-drive-each-way… I was well ready for a nap! And yet absolutely nothing I teach my kids the other six days of the week is half as important as what I teach them in the pew on Sunday mornings. Well, we do the best we can with that: we train them in worship principles throughout the week. 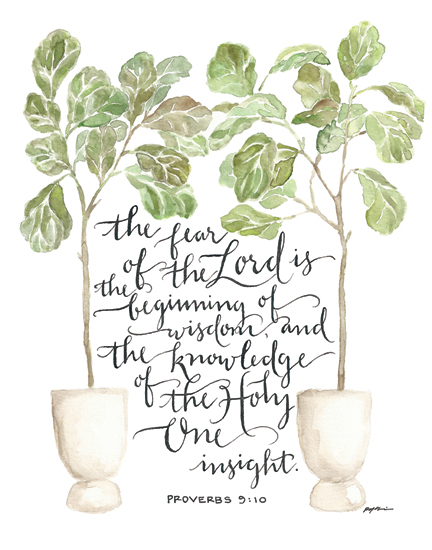 We practice listening reverently when Mommy reads the Scripture every morning. We practice praying, with quiet hands and still bodies so that we can focus on speaking in our spirits with God. We practice singing robustly. We practice confession of sin. We practice reciting the creed and other liturgical parts of the service. But like in so many other things, we can practice in a separate situation until we’re blue in the face, but it isn’t until actual gametime that it really matters. That is truly when the rubber hits the road. You won’t have watched me train and prep my kids at home throughout the week. But you have my word, with God as my witness, that we seek to practice for this good work throughout the week. You can listen to me pep talk my kids before the worship service begins, in the bathroom after we have made sure that bladders are emptied, hands are freshly washed, whistles are wet and water bottles filled. You can watch me organize my children in the pew with the best of my wisdom helping not only choose a pew’s location, but also each child’s location in that pew. You can see my set out my bag of tricks – a diaper bag for myself and the baby, and a “church case” for each of the three older children. You can watch me hand out liturgy booklets, bulletins, and hymnals… and blankies to the two youngest. You might even see me pray God’s grace over our pew and take a few deep breaths. I hope you see me encouraging my kids to participate in the service. I don’t want you to think that my endeavor is to teach my kids how to simply sit down, be quiet, and doodle or dawdle away the worship service. I tell my kids to speak and sing when I speak and sing. You can hear their words trailing a beat or so behind the adults. You might hear my one year old chiming in with a loud amen at all kinds of random points during the service (although he is quite good at paying attention to when he hears others say it, and he follows suit a breath later). My children don’t always have a good grasp on volume control: so if they know a hymn particularly well, they might belt it out at what nearly seems like a shout if you’re sitting in front of us. I encourage the baby to make joyful noises during these times too, but I can assure you that in his one year old way, it doesn’t exactly sound recognizable as the Nicene Creed, the Lord’s Prayer, or the Sanctus. But the children are doing exactly what I am asking them to do: participate. To the level which they are able, they are participating in the liturgy of our corporate worship service. You could very well notice me putting my finger to my lips often during the service. And yes, you might hear me “sssshhhhh” the kids (which, yes, I know is not a silent thing… but sometimes the kid isn’t looking at me with my finger to my lips so I absolutely have to grab their attention so they recognize that they are not being as quiet as they think they are). You can watch my fingers point to words in hymnals and bulletins to encourage the eyes of my children to follow along, even if two of them can not yet read fluently (or at all). You can watch me put my hands on little thighs when legs are kicking, or on little hands that are suddenly zooming around like rocketships, or on little knees that are teeter-tottering on the kneeler rather than quietly knelt in confession. You can see me have my children stand, sit, kneel, turn, raise hands, etc. along with me. And no, they don’t always do it perfectly or cheerfully. But they are learning. And I’m doing my best. You can watch me rock back and forth or sway side to side, as I attempt to keep the baby quiet during Scripture readings and prayers. You will definitely notice me teaching the baby how to quiet the noises his mouth makes. You may notice sometimes that I give him little flicks to communicate discipline (not in the sense of punishment, but in the sense of training). And yep, you’re right, there are times where he gets fed up with the little flicks and starts to let out a full-blown howl. When this happens, I sure hope you notice that I do my best to leave my pew swiftly. But sometimes I need to whisper quick directions to another child (“make sure you stay seated and listen quietly to the sermon”) while I shuffle out of my pew (which is full of little legs, the diaper bag, the kneeler, and other random articles) and make my way out of the nave. Yes, I know there is a “cry room” on the side of the sanctuary. Yes, I have used it when I needed a place of privacy for my own sense of modesty. But it is not sound proof by any means, so I recognize that going in there with a wailing child is not helpful. So I do have to walk all the way out through the lines of pews to the back of the church and down the hallway. And yes the hallway echoes terribly. I know this. Trust me, my ears are not numb to these things, but are more accutely tuned in than anyone else’s. I know your ears are stunned when my children make noise. I see you turn around with your furrowed brow. I feel like every pair of eyes in the place is burning a hole into some part of me or my child. Do you know that I often leave the worship service feeling more tired than when I arrived? That even if my soul has been fed in some way, that my physical self feels depleted? Do you know that there are times I’m tempted to wonder if it’s worth it? Do you know that I can feel jealous of people who think it’s okay to stay in bed and let the kids sleep in rather than go through the hard work and routine of getting to worship put together & on time? 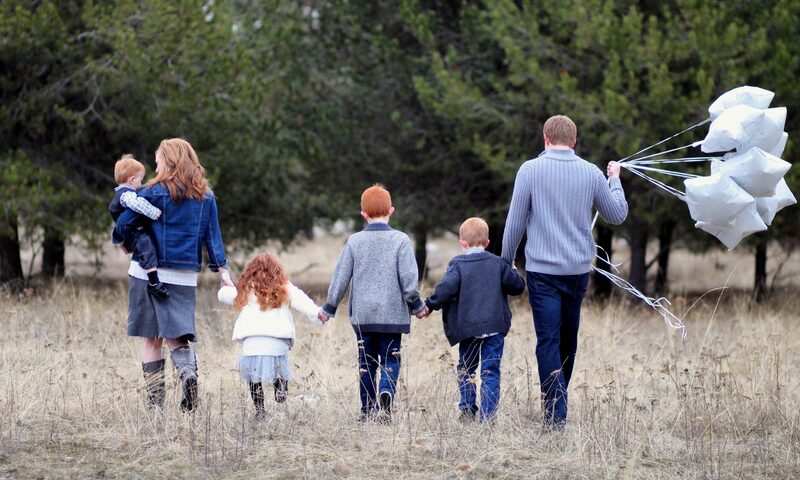 Do you know how self-conscious I feel about bringing my little pew full of redheads into the sanctuary and up to the altar each week? But what I need to remember (and what I would like to encourage you to think about) is that my children belong in the worship service. I will not hinder them. Of children is the kingdom of heaven. I want faith like theirs. I love being in a congregation where all ages and stages are present and relevant. But just like I am so thankful to have grey, white, and balding heads in the pews around us, I also recognize that the little saints filling my pew help to round out the body of Christ present in this worship service. They are part of His body, too, and they are a visual reminder that Christ came for all peoples. The corporate worship service is not about individualistic study, contemplation, or introspection. It is about coming together as one body made up of many parts, sharing together as a community in the Word and Sacrament. When my children are here, it reminds all of us that Jesus loves the children. That we should have faith like the children. That Christianity isn’t just for the adult version of faith. My children are learning that worship is important. That it is beautiful. That it is a priority. That it is a worthy sacrifice. That it is the high point, the pinnacle, and the start of every week. My children might make noise with their pencils and papers. Or perhaps you’ll hear a slurp from a water bottle, regardless of our best intentions. Or the baby might make bodily noises that really will eventually be trained out of him. But my prayer is that their loud singing, their bold amens, their enthusiastically raised hands in the Doxology, their energetic passing of the peace to as many pews full of folks as possible, and their skipping up the aisle to receive communion at the altar would be a blessing to you. I pray that you would have the grace to cover their shortcomings… and grace to cover mine. I pray that your heart would look ahead in faith and thankfulness, because if children are filling the pews now, we hope it means that the pews won’t be empty in another ten or twenty years. I pray that you would send me looks of smiling encouragement and joy rather than glares that feel like judgment. I ask that you pray for my family during the week, as we seek to walk in faithfulness all seven days of the week. I ask that you pray for my family on Sunday mornings, as we seek to come to worship as a family and as part of this community of our congregation so that our children know that Jesus loves them just as much as He loves the adults (who aren’t perfect either!). I ask that you pray for me during worship as I direct my reading-capable children to follow along, as I encourage my preschooler to participate with an obedient & joyful countenance, as I bounce my baby on my hip… all the while, as I too am seeking to bring my sacrifice of praise to my Heavenly Father. I ask that you forgive me when I stumble, because I know I will. I ask that you embrace each member of my family as part of your Christian family – because, while you have not been tasked with training these specific children in the nurture & admonition of the Lord (in which training in worship belongs), you have been tasked with loving these neighbors as yourself. 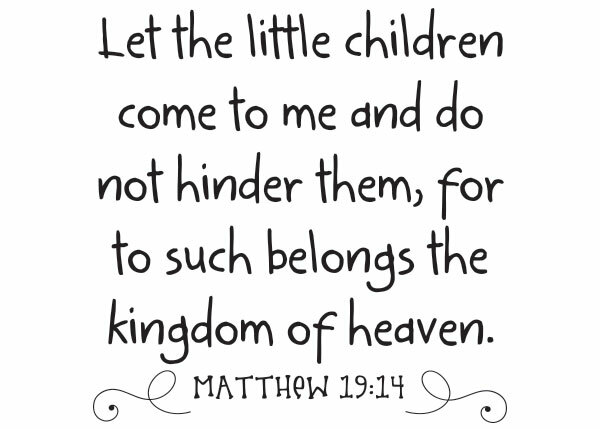 My children are your brothers and sisters in Christ ~ I ask that your have their spiritual good in mind, that you put their interests above your own, and that you aim (so far as you are able) to be at peace with them & their little frames. Like you, I seek these same goals. Like us, they are but dust. Thank you for bringing your aged glory to our congregation. Thank you for bringing your aching bones, your walkers and canes, your hearing aids, your grey hair and wrinkles. Thank you for showing my children that God will still love them, value them, and not forsake them in their old age. Please hear my words here with grace and respect, because I feel both toward you. May each of us, as Christ’s disciples, know that we are not only tolerated in worship, but that we are embraced, needed, loved, vital. Young and old alike. There have been more than a few times in my life where I have been truly humbled by someone at church asking me how in the world I do it, getting my kids to “sit still and be quiet” for an entire worship service. I usually respond with it’s definitely God’s grace, and we work hard at it right from birth. They certainly are not born this way! But then the next thought in my head is usually something along the lines of recalling how I do not instruct them to simply sit still and be quiet for ninety minutes every Sunday morning. Nope, not at all. That is not what I am training them to do. And if there are certain moments where I fall into that ditch (and there are), I ask that God would open my eyes and remind me of who I am, who my children are, and what we are doing! And what are we doing? In what am I instructing them? We are worshiping. I am instructing them in worship. I am teaching & training them to worship their King. My children have just as much standing before the Lord as I do. Christ died for all of us. I have no more right to be worshipping and receiving communion than they do. My own quiet reflection, focused singing, note-taking, etc. should not take precedence over that of my child. But how do the children learn to worship? Just like I teach my children to self-soothe, to drink from a cup, to fold their hands for prayers, to hold a pencil, to sound out words, to recite catechisms, to ride a bike, to memorize verses put to song… I also teach them to worship. Both through direction and example, my husband and I (but as the mama, I tend to do 80% or more of it) teach our children from their earliest days to participate in worship. They make noise when we make noise (singing, responsive reading, prayer responses, the creed, etc), they are quiet when we are quiet (prayer, Scriptures being read, sermon), they stand and kneel and sit and pass the peace when we do. Little by little, they grow up worshiping. The worship service is not something that is for the adults. It is for God’s people. Does that mean my children worship perfectly? Nope! And neither do I. But what it does mean is that they belong in the worship service. They, as part of Christ’s body, are called to worship Him. They need to enter His gates with thanksgiving, making joyful noise! They learn reverence by participating in it. They learn from the get-go that man does not live by bread alone. They know that the bread & wine they receive at communion is a mystery but that it’s vital. They know that they belong to Christ, and that He is theirs. But what we all must remember (the children, the parents, the clergy, and the other parishioners as well) is that worship, like all other aspects of our life, is something that must be learned, practiced, implemented, worked on. Worship is not so much about the ones worshiping, but rather it is about the One who is worshiped. Since this involves training, that implies that it isn’t something that you wake up knowing how to do one day. Like training for a marathon. It is hard work for the long haul, with a big end goal in mind. My child doesn’t reach three years old and suddenly have the ability to participate seamlessly. There are times when I too have a hard time not fidgeting, not making noises, keeping up with the liturgy. I need to remind myself, too, to go potty before the service and get a drink too. I don’t have it down pat, and I’ve been at this for over thirty years already! It’s simply my job to bring my children along on the journey with me. But these little saints are not to be hindered from coming to Jesus. He loves them, He lays His blessing on their heads, He longs for their joyful noises. 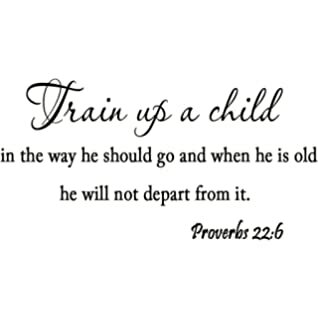 Jesus taught us that we need to become like little children, to have faith like theirs. Who are we, that we think we have more clout in the Kingdom (or simply in the church pew) than they? so that I can more beautifully reflect Him, show a worshipful heart to my children, exemplify faith in action, and ooze grace through our pew that seeps throughout the nave. He is the faithful One. These little saints are His. and to worship Him on the Lord’s Day in spirit and in truth. When do we most need hope? That is when we feel lack of hope most acutely. It is when we need to have our eyes opened to real hope. 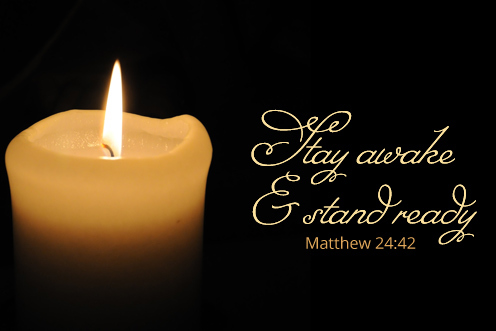 That is what this first week of Advent is all about. Hope. Anticipating, longing, looking ahead, believing that the fulfillment of promises and prophecies are yet to come. I love these simple perspectives and tips for observing Advent, even in a family with little (messy, fussy, short-attentioned!) children. I am pulling out our Advent wreath, our Advent calendar, and a huge amount of chocolates. Soon, other Christmas-is-coming boxes will be brought up from the basement, as we slowly see hope fulfilled by the advancing of Christmas. May God give us eyes to see and ears to hear. May He make us awake and ready. May He give us hope because of Jesus. There are many types of suffering, and I understand that the sovereign Lord allots for each of us what He deigns best for us and greatest for His glory. I don’t always understand the nuts and bolts of it playing out “in real life” but I acknowledge it from my heart and from my mind. I understand He is that way, and He is the author of life, even when I can not explicitly understand the whys and the hows behind it all. He is God, and I am not. I can not count the number of days (let alone hours or moments) when my heart has been in utter and complete anguish within me. And for the large part, in what the sovereign Lord has allotted for me personally, my anguish has been related to miscarriage and its many nuances. I’ve had the deepest anguish, suffering, pain, and grief from burying nine children. There are other reaches of this, though, where the pain seeps ~ basically any conversation about pregnancy, about morning sickness, about surprise pregnancies, about family size, about babies, about childrearing, about being pro-life, about stairstep children, about family vacations, about schooling, about siblings… some anguishes ooze into so many aspects of life that you lose count. And really, to be honest, you don’t want to keep count. That is too painful, too! But one of the biggest blessings for me, both in the midst of the anguish and “on the other side” (to some extent…) of it, has been the giving and receiving of comfort through this journey. I have been on the receiving end of so much comfort! Some of it has been well-done and some of it has been less-so, but all of it, I truly believe, has been heartfelt and genuine. I have also been given the opportunity to be on the giving side of comfort through the years, both in various online communities & capacities and in real life (friends or friends-of-friends suddenly facing the grief of miscarriage themselves). I am sure that the comfort I have sought to give has been occasionally well-done and occasionally much less-so as well, but I can honestly say that the comfort I have extended has also been heartfelt and genuine. I still feel thoroughly unequipped to offer much specific counsel or advice on how to come alongside someone who is suffering a miscarriage, recurrent miscarriage, other death, other infertility, other anguish of heart. I am going to spend just the next few posts here at Joyful Domesticity sharing some thoughts and experiences I have had. I’ll share some tangible things that have been a comfort to me from others, books that have blessed me, activities I have done myself that have brought comfort or healing to my own aches, as well as links to online communities & resources that have ministered to me and given me opportunities for ministry as well. If you are looking for something specific, don’t be afraid to ask; I would love to have some prodding as I go back in my memory banks to some of the darkest days of my life. So many things have actually been blocked from my memory (PTSD style) that sometimes I need a prod to even recall certain days or events or seasons. The upcoming posts may be redundant to many of you, especially those who have walked alongside me for years through my own miscarriages and sorrows. 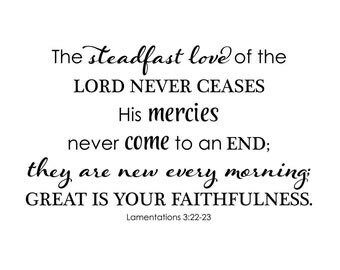 But whether this is old news or new news, I pray that it would be good news: that it would remind you of how the Lord has ministered to me and been faithful to me! I don’t forget His faithfulness through my anguish!! I don’t want you to forget either, simply because He has been so good to me, and He deserves to be continually praised for it. And I also pray that this would be good news to those of you who are suffering, or ministering to those who are suffering: to see what has blessed others, and to see if the Lord has equipped you to share any of these (or similar) things with those around you, or even to ask for these blessings yourself ~ or at least to extend some of these graces to yourself if you are the one in the trench of anguish. And remember… if you leave me a comment… I am just a click away, and my heart is ready to step alongside yours wherever you are on this journey of grief… I will pray with you, email you, share resources with you, simply even be a listening ear. You may have to endure suffering, but you certainly don’t have to do it alone. And in the meanwhile, peace be with you. Last week after church, we were given a couple of articles to read as we in the Church face new-but-not-so-new battles against the institution of marriage. One of them included this article, where part of it is a litany for marriage which I have prayed a couple times in the last week. For my own marriage. For the marriages of people I love. For those in my church. For the marriages in the Church at large. Our marriages speak of the mystery of Christ and His Church ~ oh, what are we preaching these days?! May the Lord have mercy upon us.May He be glorified by our returning to Him as the Church, His bride, and may we seek to honor Him, one another, and our marriage vows because we belong to Him ~ and so does the institution of marriage. A Prayer for Marriage Almighty God our heavenly Father, you have created us male and female in your image and have ordained that a man shall leave his father and mother and be joined to his wife. Look down in mercy, we pray, on our families, our church and our nation. Knit together in constant affection those who, in Holy Matrimony, have been made one flesh. Turn the hearts of the parents to the children, the hearts of the children to the parents, and the hearts of all to those who are single or alone. Finally, grant that your Church may steadfastly defend the unchangeable bond of marriage which embodies the mystery of Christ’s love for us; through the same Jesus Christ our Lord, to whom with you and the Holy Spirit, be all honor and glory, now and forever.